Even though new technologies enable people to do much more with the Web, in the end HTML, XHTML and CSS are still at the root of any Web site. 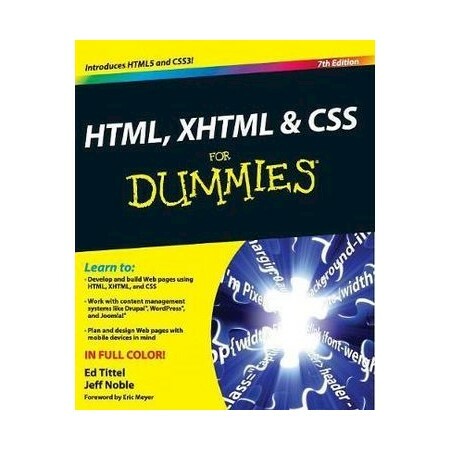 The newest edition of this bestselling guide is fully updated and revised for the latest technology changes to the field, including HTML5 and CSS3. Illustrated in full color, it continues to provide beginner and advanced coders the tools they need to be proficient at these programming languages. Ed Tittel has been involved with computers for nearly 25 years. Since 1994 he's been a full-time writer and tech editor. Among his many book credits is PC Magazine: Fighting Spyware, Viruses, and Malware, also published by Wiley. Jeff Noble has been working on, in, and around the Web for nearly 10 years, and he specializes in designing and creating unique, easy to use, functional Web sites. When he's away from his computer, Jeff is often far from the madding crowd, choosing instead to hike and camp in wild places as far away from a wall socket as he can get.